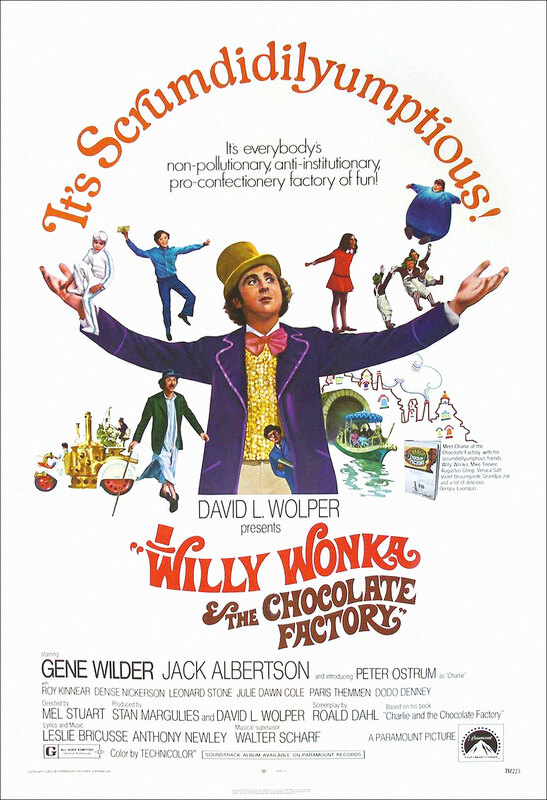 What It’s About: Charlie Bucket dreams of winning a contest to visit the factory of eccentric confectioner Willy Wonka. Why Watch it Today? : Author of the original novel and screenwriter Roald Dahl was born today in 1916. This entry was posted in Adaptation, Based on a Book, Family, Movie of the Day, Musical, The Original and tagged Anthony Newley, Aubrey Woods, Best Music Original Song Nominee, Best Music Scoring of a Musical Picture Nominee, David Battley, Denise Nickerson, Diana Sowle, Dodo Denney, Günter Meisner, Gene Wilder, Jack Albertson, Julie Dawn Cole, Leonard Stone, Leslie Bricusse, Mel Stuart, Michael Bollner, Paris Themmen, Peter Capell, Peter Ostrum, Peter Stuart, Roald Dahl, Roy Kinnear, Ursula Reit, Werner Heyking.